Want to be Amazed at Our Rising Scientists and Engineers? 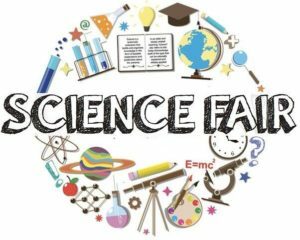 ​SBV SWE is Recruiting Science Fair Judges. 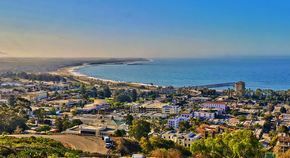 WHO: Engineers and Scientists (any gender) willing to be astonished at the depth of research that young, Ventura County, female researchers conduct. WHEN: Friday, March 22, 2019, 8:00 to ~1:00. We also need a few judges to stay until no later than 3:00PM. Breakfast and lunch are provided to all the judges. WHY: The San Buenaventura Chapter of the Society of Woman Engineers awards monetary prizes (1st, 2nd & 3rd) to female students (individual or teams with active female partners) who present remarkable projects at the Science Fair. We look at EVERY project with a female contributor in both the middle school and high school category. There were 170 reviews in 2018! Our judging rubric puts more emphasis on practical engineering than the one on the Science Fair web page. Contact Kappy Paulson at Ventlady@outlook.com to volunteer by 3/8/2019. 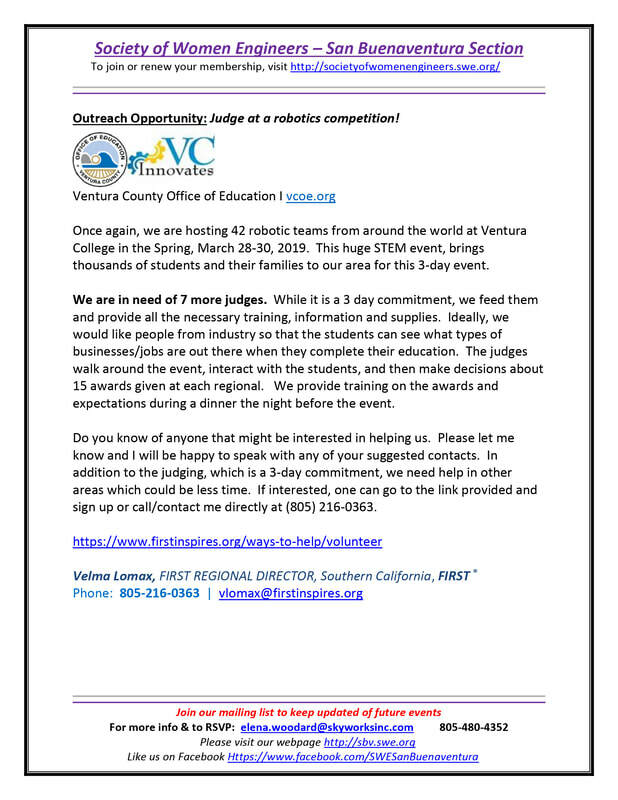 VC Board of Education Science Fair Info - https://www.vcoe.org/Competitions/Science-Fair/Volunteer Please do not sign in on the volunteer page. We do it as a SWE group.